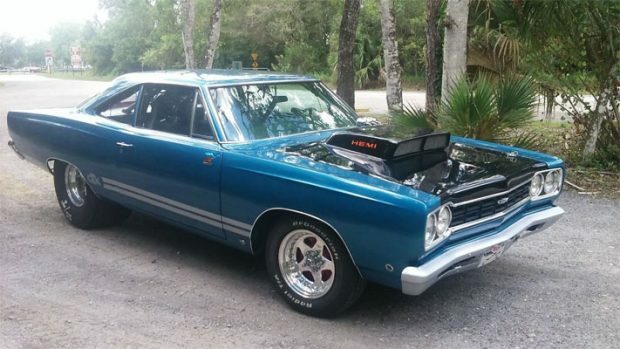 This 1968, Plymouth Road Runner seems to have gone through quite a few changes in its life. Firstly, the ad. does say it is a Roadrunner but it clearly has a ‘GTX’ badge on the front grille. 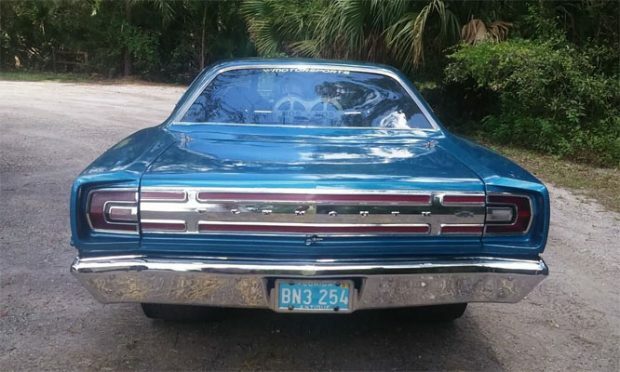 The ad says it was originally a 383 big block roadrunner, which was turned into a pro Street car with a 426 Hemi engine and now has a 440 egine and 727 transmission. The car also sports a Dana 410 rear end, while the bar backpass, QA1 coil over shocks, Mickey Thompson tires and and all steel body except for the trunk lid and hood. The B5 blue car he said to be able to run on pump gas and has two fuel pumps and a complete nitrous setup, but not hookd up. Prime condition 1968 Roadrunner according to Hagerty is worth $27,500 in good condition, $56,800 for condition one. As this car has had modifications, the price is harder to evaluate, which may be the advantage for you for haggling on the price. 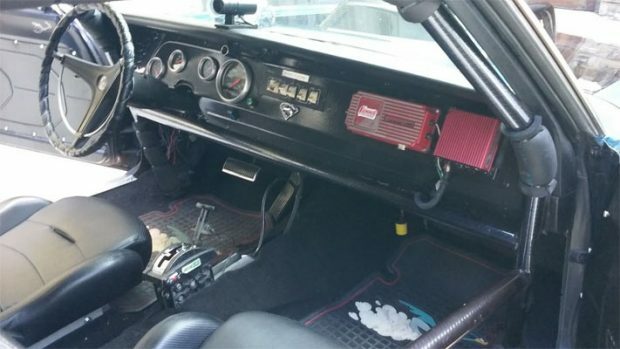 If you are after a prime muscle car which can hopefully be driven on the streets and raced, this could be the one for you. 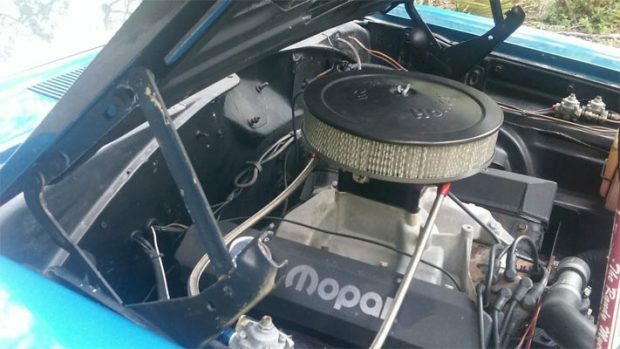 ← Previous Story A 1969 Dodge Charger Daytona AND Plymouth Superbird: Both For Sale!